It kills more people than car accidents every year. The Centers for Disease Control and Prevention (CDC) classified it as an epidemic and the World Health Organization (WHO) reported it threatened the achievements of modern medicine. Prescription drug abuse is a global problem, and the U.S. is the world’s biggest addict. Major causes of preventable death – like car accidents – have been on the decline, but deaths from drug abuse doubled in the last decade, according to the L.A. Times. Prescription drug abuse refers to using a drug without a prescription, in a way other than as prescribed or to get high, according to the National Institute on Drug Abuse (NIDA). Many abusers take drugs that were prescribed for someone else, because they don’t understand the dangers. Others take drugs in a higher quantity than prescribed. Some people snort or inject drugs that were meant to be taken orally, leading to unintended side effects. Not all abusers take drugs to get high or relieve a medical condition. People also take drugs to improve focus, although there is little scientific evidence that proves drugs improve cognitive function, according to NIDA. When taken as recommended, prescription and over the counter drugs treat specific mental or physical symptoms. Even then, some drugs have dangerous or unintended side effects that cause more harm than good. When prescription drugs are used in ways other than prescribed or when symptoms aren’t present, they can affect the brain like illegal drugs do, according to NIDA. Like illicit drug users, prescription drug abusers often hope to achieve pleasure from the side effects of the drugs because the drugs can increase the amount of dopamine in the brain. However, this can cause the prescription drug user to want to continue to feel that pleasure, leading to addiction. 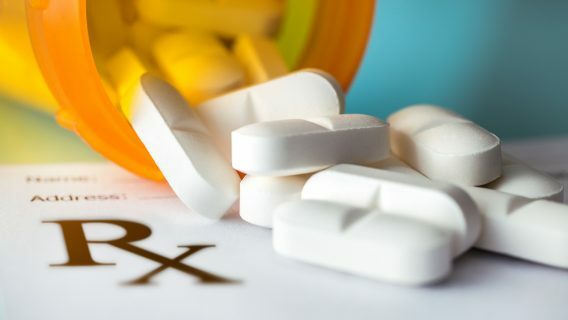 Almost 70 percent of Americans take at least one prescription drug, and more than half take two, according to researchers at the Mayo Clinic and Olmsted Medical Center. The most commonly prescribed drugs among those studied were opioids (13 percent), antidepressants (13 percent) and antibiotics (17 percent). Opioids are derived from opium, which comes from opium poppy seeds. In general, the term opioid is used to refer to synthetic prescription painkillers, but heroin is also an opioid. Like prescription painkillers, illegal drug users create heroin using naturally-occurring morphine from poppy seeds. The similarities allow some addicts to switch back and forth between painkillers and heroin. Antidepressants can have both minor side effects – headaches, upset stomach or nausea – and major side effects – involuntary movements, loss of sexual desire and suicidal thoughts – according to the Harvard Medical School. After studies found antidepressants might double the risk of suicidal thinking, the U.S. Food and Drug Administration issued a Black Box Warning mentioning the risk for suicidal thoughts, hostility and agitation in children and adults. Antidepressants may also lead to birth defects if taken by women who are pregnant. Antibiotics are used to fight many forms of dangerous bacteria that cause illness. However, antibiotic abuse and overprescribing of antibiotics has led to the development of superbugs. Superbugs are bacteria that are resistant to many forms – and in some cases all forms – of antibiotics. Abuse often includes incorrectly using antibiotics to fight illnesses caused by viruses (such as the common cold) in humans. Researchers estimate that half of antibiotic use is unnecessary, according to Harvard Magazine. America’s journey to addiction wasn’t the same for each type of drug. The path for some types of drugs, like antidepressants and antibiotics, began more than 50 years ago. The road for other types, like stimulants and pain killers, began more recently. Regardless of when each drug type was discovered or developed, the paths to high-quantity prescriptions and dependencies all collided in the 21st century. The first drug to ever reach $1 billion in sales, Valium, was introduced in 1963. The drug’s manufacturer was one of the first to use an aggressive marketing and advertising campaign to launch a drug, something that is commonplace today. Researchers estimate Americans took more than two billion pills of the depressant in 1978, but its numbers decreased to 14.8 million in 2012, according to the Wall Street Journal. The next revolutionary depressant to hit the U.S. was Xanax, introduced in 1981. Its manufacturer was the first to market a drug to treat panic attacks in addition to anxiety. It is still the most popular psychiatric drug today, according to Forbes. The first antidepressants hit the market in the 1950s, but they came with serious side effects. Prozac was the first selective serotonin reuptake inhibitor (SSRI), which targets just one brain chemical instead of many. When the FDA approved Prozac in 1988, doctors prescribed it for 2.4 million people. That number grew to 33 million in 2002, and antidepressants were the third-most prescribed drug in the U.S. by 2008, according to the New York Times. A large increase in attention deficit hyperactivity disorder (ADHD) diagnoses during the last decade led to an increase in the prescription and availability of stimulants like Ritalin and Adderall. 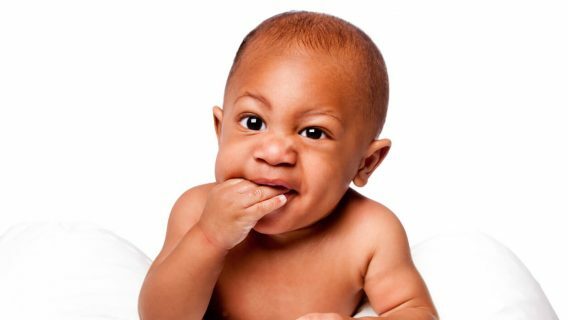 According to the CDC, doctors diagnose 6.4 million children ages 4-17 with ADHD at some point in their lives, an increase of 41 percent from the last decade. Meanwhile, the over-prescription of antibiotics was getting worse. Researchers knew bacteria could develop resistance to the drugs when penicillin was first discovered in the 1940s, according to Harvard Magazine. What followed was a race between scientists developing new antibiotics and bacteria adapting to them. By 1955, researchers found four strains of a bacteria to be resistant to the current antibiotics. Methicillin was introduced in 1960, and scientists discovered strains of Methicillin-resistance staphylococcus aureus (MRSA) two years later. As antibiotics were introduced and the bacteria adapted, a more deadly strain of MRSA developed. In 2005, almost 20,000 people died from MRSA infections – more than HIV and tuberculosis combined, according to Harvard Magazine. 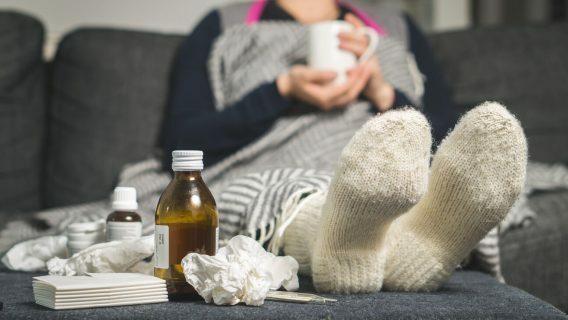 Despite guidelines for its use, doctors still prescribe antibiotics to treat colds and coughs because of miscommunication with patients about their symptoms. Drug-resistant bacteria most commonly infect people in hospitals, taking advantage of patients with already weak immune systems. To make matters worse, officials believe endoscopes used during some surgeries may have spread superbugs to patients. America’s path to its most deadly addiction stemmed from an increased effort to find ways to treat chronic pain in the 1990s. Following the introduction of guidelines for the management of chronic pain by a pair of expert panels in 1997, the Federation of State Medical Boards encouraged policies to promote compassionate pain management. The states followed by enacting regulations, guidelines and policy statements for improved pain management, according to a Journal of the American Medical Association (JAMA) article. In 2001, Congress passed the Pain Relief Promotion Act, promoting pain management research, education and training. From 1997-2007, oxycodone purchases increased four times, hydrocodone purchases increased nine times and methadone purchases increased 13 times, according to JAMA. Unfortunately, the population that most often suffers from chronic pain is also one of the most vulnerable to addiction. The elderly are one of the biggest groups of prescription drug addicts in the U.S.
Doctors wrote 55 million opioid prescriptions for people 65 and older in 2013, a 20 percent increase from the last five years. The same year, doctors wrote more than 28.4 million prescriptions for depressants to people over the age of 65, a 12% increase over the last five years, according to USA Today. According to SAMHSA, the number of seniors misusing or dependent on prescription pain relievers rose to 336,000 in 2012, up by 132,000 since 2002. From 2007-11, visits to the emergency room caused by the misuse of pharmaceuticals by people older than 65 climbed 50 percent. Adding to the concern, many of the 1.3 million elderly people living in nursing homes in the U.S. take pain killers to manage chronic pain. However, opioids and depressants are not recommended for long-term use because they lose their effectiveness over time. The problem was so severe that the Centers for Medicare and Medicaid Services (CMS) and American Health Care Association (AHCA) began initiatives to reduce the use of antipsychotics, a type of depressant, in nursing homes in 2012. The initiative reduced the use of the drugs by 15 percent during the next two years. The elderly are not the only worrisome age group abusing prescriptions either. Often, the pattern for drug abuse begins when people are exposed to drugs during adolescence. 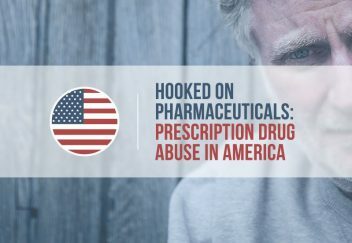 Exemplifying the misconception regarding the safety of prescriptions, a SAMHSA survey found more than half of the people aged 12 and older who abused prescriptions in 2012-13 got the drugs from friends or family members for free. About one out of every 12 high school seniors admitted to the nonmedical use of Vicodin and one out of every 20 admitted to abusing Oxycontin in 2010, according to a NIDA survey. A 2010 CDC survey found one out of every five high school students abused some kind of prescription drug. According to SAMHSA, 2.2 percent of youths aged 12 to 17 used prescription drugs for nonmedical purposes, and 1.7 percent used pain killers for nonmedical purposes in 2013. That’s more than hallucinogens (0.6 percent), cocaine (0.2 percent) and heroin (0.1 percent) combined. The amount of money in the prescription drug market is colossal. 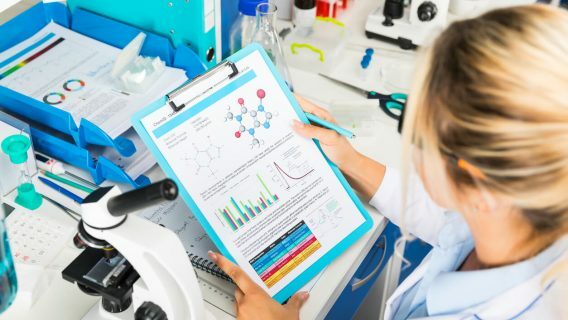 According to IMS Health, a company which provides data on the healthcare industry, pharmaceutical companies totaled more than $1 trillion in sales in 2014. Big Pharma global sales increased by at least three percent every year since 2005. The U.S. spent $374 billion on pharmaceuticals in 2014, up 13 percent from the previous year, according to the L.A. Times. While billions of dollars made from prescription drugs flow into Big Pharma’s pockets, some cities and states claim the companies are responsible for the country’s drug addiction. 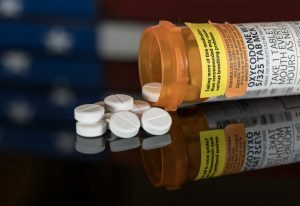 The state of Kentucky filed a lawsuit claiming a drug company used aggressive and deceptive marketing, and misled doctors, consumers and the government about Oxycontin’s risk of addiction, according to USA Today. The city of Chicago filed a lawsuit claiming drug companies underplayed the risk of addiction while promoting painkillers, leading to abuse, addiction, overdose and death, according to the New York Times. California’s Orange County and Santa Clara County filed a lawsuit claiming drug companies broke laws against false advertising, unfair business practices and creating a public nuisance to promote pain killers, according to the L.A. Times. Companies included in the lawsuits include: Purdue, Endo, Actavis, Cephalon and Janssen (A subsidiary of Johnson & Johnson). When prescribed and taken responsibly, the majority of prescription drugs treat symptoms, cure illnesses and save lives. However, the misleading of consumers by pharmaceutical companies, misdiagnosis of patients by doctors and a misinformed public have led to a country filled with millions of prescription drug abusers. On Oct. 21, 2015, President Obama announced a plan in partnership with several federal agencies and professional medical associations to combat opioid abuse in the U.S. The plan would require federal healthcare providers to receive training about prescribing opioids and prevent barriers to treatment for opioid addiction. But many experts don’t believe Obama’s plan will have enough impact. Numerous organizations ranging from the American Medical Association to the Fraternal Order of Police and from the Partnership for Drug-Free Kids to the Dr. Oz Show announced plans to raise awareness in coordination with the White House initiative. Hall, A. J., Logan, J. E., Toblin, R. L., et al. (2008). Patterns of abuse among unintentional pharmaceutical overdose fatalities. The Journal of the American Medical Association, 300(22), 2613-2620. doi:10.1001/jama.2008.802.